Nestled in the foothills of the Ozark Mountains in North Central ARKANSAS, SHARP COUNTY borders on Missouri and has elevation ranges from 561 feet in the southern section to 1,000 feet in the Northwest portion. The county is accessible via U.S. Highways 63, 167, and 62/412. SHARP COUNTY is a paradise for those who enjoy nature's serenity. Hardy was founded over 100 years ago. Originally it was a county seat and market center. Today the community welcomes visitors to its historic main street filled with antiques, collectibles, food shops, and gourmet candy. Ash Flat was officially established as a town in December 1856. Today it is the County Seat of Sharp County, Arkansas. Ash Flat also is the home of a branch of Ozarka College in Melbourne. You are far away from the hassles of the "big city" but only a short drive to what they have to offer. 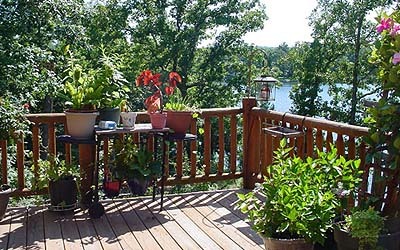 Lakes, woodlands and rivers abound with all types of wildlife. Affordability is a key word in describing this area. Accompanied with low costs of living and a relaxed lifestyle, your family will find peace, quiet and security that so many people are yearning for. Hardy welcomes visitors to its historic main street filled with antiques, collectibles, arts & craft, festivals, canoe races, antique festivals. Ash Flat features its Eagle Fest in the fall while Cave City has its Watermelon Festival in the summer. Evening Shade has its Summer Fest. Everywhere you go you can find down home country, bluegrass and gospel music being played throughout the area. If fishing, canoeing, horseback riding, hunting or golfing are activities you enjoy then we have what you want. Cherokee Village has 2-18-hole golf courses; the surrounding areas harbor trophy deer and turkey. The Spring River has excellent trout fishing as well as great canoeing. The South Fork and Strawberry Rivers contain class II rapids. Campgrounds are numerous and easily accessed. Old Hardy Town provides numerous craft, antique and specialty shops. A spring fed spawner stream that flows crashing and splashing around rocks and boulders creating deep pools along rising bluffs covered with hard and soft wood timber. 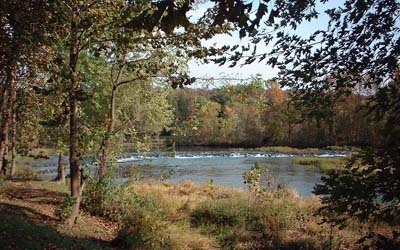 The pools and riffles are inhabited by largemouth, smallmouth, spotted and rock bass. There are also walleye, catfish and many varieties of smaller pan fish. Many deer, turkeys and other forest denizens can be seen along the ridges and meadows that it caresses on its path to crash into larger Spring river. Canoeing and kayaking are a popular sport in high water time. These streams and hills are part of the Cherokee Indian Trail of Tears. Spring River gushes forth at the rate of over 9 million gallons per hour at 58 degrees at the town of Mammoth Spring, Arkansas. This is one of the premier trout streams in the Midwest. There are walleye and tiger muskies in the upper reaches of the shoals and riffles and falls that the river tumbles over as it muscles its way southeastward. Many line-testing warm water fishes live in the lower part of the river before it flows into Black River. The entire length of the river is a challenge to canoers and kayakers alike. Most of the time the cry of the kingfisher and the splash of a beaver's tail are all that disturb the solitude and serenity of this peaceful setting. Come wash your troubles away in the cold clear water of Spring River. A 14,000 acre Arkansas Game and Fish Commission Reserve, the Harold E. Alexander Wildlife Management Area is located in North Central Arkansas. Its ridges and hollows are heavily forested with hardwoods that provide food and cover for the abundant white-tail deer and wild turkeys and small game that inhabit the area. The flora and fauna are well watered by Spring River and creeks that flow through the reserve and provide excellent fishing. Four seasons, liberal game and fish limits and great camping areas make for a year round date with Mother Nature. There are nearby towns that provide provisions and medical services as well as entertainment for the entire family.